Revit Architecture is a program specifically designed for architecture that uses the BIM (Building Information Modeling) system to generate and manage data about the designs, providing the user with total freedom when it comes to modeling building.This training is designed to teach you Revit functionalities and get you comfortable with its environment starting from setting up your projects to adding grids, levels and dimensions then dive into real modeling like adding walls, doors and windows. You will also learn the advance techniques for modeling stairs, complex walls, and partially obscured building elements, as well as adding rooms and solid geometry. Plus, annotate your drawings so all components are perfectly understood and output sheets to DWF, PDF, or AutoCAD. Revit Structure is the premier Building Information Modeling (BIM) tool for engineering and design professionals in the industries of construction and architecture. The content in this training course is devised to help you quickly learn BIM methods for creating and modifying geometry, organizing data, performing analysis, and presenting designs using the specialized structural functions within Revit. This also caters to people with little to no experience with Revit, as well as more advanced users that want to solidify their skills. Either way, this comprehensive course will teach you what you need to know to master Revit Structure. Autodesk Revit MEP is a Building Information Modeling (BIM) software created by Autodesk for professionals who engage in MEP engineering. It is used across many industries to help reduce risk, develop better quality designs, and improve project delivery. By utilizing BIM as opposed to computer-aided drafting (CAD), Revit MEP is able to leverage dynamic information in intelligent models â€” allowing complex building systems to be accurately designed and documented in a shorter amount of time. In this course you will learn how to set up your first project in Revit MEP, import structural and architectural detail from other models, and start designing your systems. Learn everything from creating circuits to sizing ductwork, adding pipes,modeling sprinklers and much more. AutoCAD P&ID software allows you to create, modify, and manage schematic piping and instrumentation diagrams. AutoCAD Plant 3D adds 3D models, including piping, equipment, support structures, generation of isometric, and orthographic drawings. AutoCAD Plant 3D includes the features of AutoCAD P&ID. Built on the familiar AutoCAD software platform, AutoCAD P&ID and AutoCAD Plant 3D bring modern design to plant designers and engineers. AutoCAD MEP software is the discipline-specific version of AutoCAD software for mechanical, electrical, and plumbing (MEP) designers and drafters. The software’s intuitive systems and design tools provide greater drafting productivity with the flexibility to make last-minute design changes more quickly and easily. This training course will help you draft, design, and document these systems using MEP's powerful toolset. You will learn setting up your project, as well as external referencing and display configurations, before diving into individual modeling scenarios. You will learn how to create electrical power plans and lighting plans with receptacles and lighting fixtures. Plus, work on mechanical plan, with rooftop units, VAV boxes, ducts, and diffusers. Lastly, you'll work on a plumbing plan and system. AutoCAD Architecture software is the version of AutoCAD software for architects. Create designs and documentation more efficiently using tools specifically for architects. Tedious drafting tasks are automated, helping you to reduce errors. Familiar AutoCAD working methods and an intuitive environment provide immediate productivity gains while giving you the flexibility to learn additional features at your own pace. Authentic DWG technology helps make it easier to share and communicate designs with engineers and the extended project team. Help accelerate project reviews and approvals using integrated rendering tools to create more realistic design visualizations. AutoCAD Architecture offers a faster way of working for architects familiar with AutoCAD. Autodesk Fabrication CADMEP software supports detailing, fabrication, and installation workflows of mechanical, electrical, and plumbing (MEP) contractors by providing tools that extend design-intent to create more accurate, intelligent, constructible models of building services systems. Utilizing real-world content libraries and databases, Autodesk Fabrication CADMEP software can extend design-intent models from Autodesk Revit, Autodeskl Revit MEP and Autodesk AutoCAD MEP to create models that are ready to drive MEP fabrication. 3ds Max is best known for its modeling and rendering tools. These strengths come into play in various industries like architecture, manufacturing, game development, industrial design, and motion graphics. There are dozens of features and techniques to master, from sculpting and texturing to lighting and rendering. In this training you will learn how to get around the 3ds Max interface and customize it to suit your production pipeline. Discover how to model different objects using splines, NURBS, polygons, subdivision surfaces, and tools such as Paint Deform. Then find out how to construct hierarchies, add cameras and lights to a scene, and animate with keyframes. 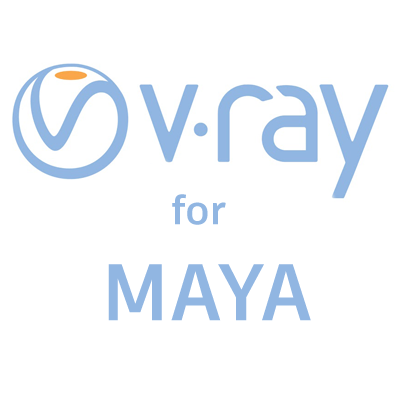 Vray is a render plugin which means that it adds functionality to an existing program. Vray's features mainly aim at creating photorealistic images, together with improving rendering speed. 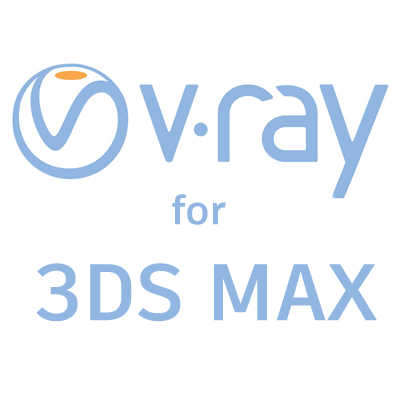 This training course will help you master the features of the V-Ray 3.0 rendering engine and teach you to extend the range of 3ds Max with V-Ray's state-of-the-art tools, such as progressive sampling, skin and hair shaders, and stereoscopic 3D rendering. This course covers critical V-Ray concepts such as basic material creation, image sampling, color mapping, subdivs, and lighting, as well as creating in-camera effects such as depth of field, motion blur, and caustics. Learn how to add amazing and lifelike materials and effects to your 3D models with this powerful plugin. Get the essential training you need to create high-quality 3D models and animations in Maya. This course covers the core Maya skills—modeling, texturing, rendering, and animation—within a real-world project-based workflow that translates equally well to film, motion graphics, and game design. It starts with the basics of selecting and manipulating objects and organizing scenes, as you learn the interface and explore Maya's features. You will learn polygonal modeling, creating and refining meshes, sculpting, and NURBS modeling. Once you understand modeling, you will learn how to create and apply materials to surfaces—adding color, texture, and reflectivity. Then integrate cameras, lighting, and depth-of-field effects into the rendering process, using the built-in software renderer, mental ray, and the new Arnold for Maya renderer. Last but not least, learn how to add movement and life to your work with Maya's animation tools.